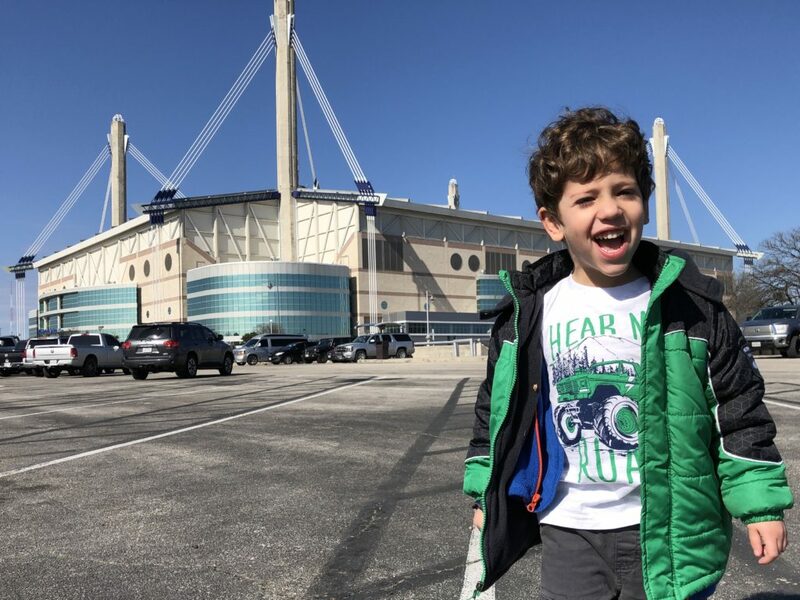 Ilán has had a lifelong obsession with all things vehicle, so we headed out to San Antonio to check out Monster Jam at the Alamodome. 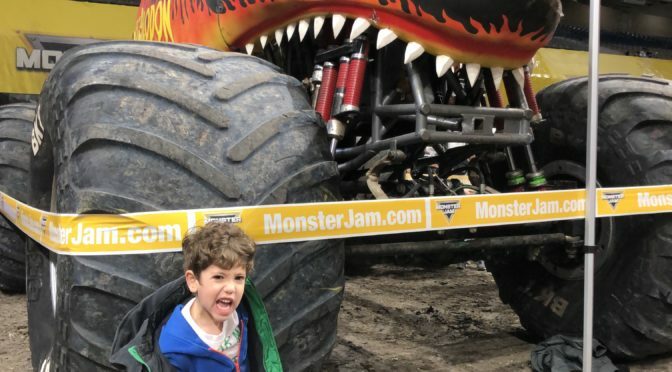 I don’t consider myself knowledgeable about Monster Trucks and I had never attended one of their shows. 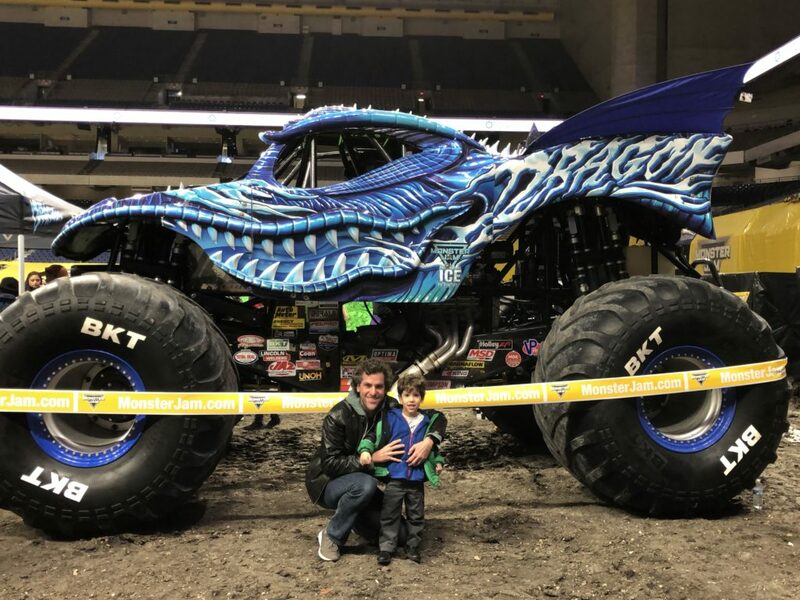 We got tickets to the pre-show which allowed us to go down to see the machines up-close and even meet the drivers and get their autographs. Little did I know that these guys are celebrities. There were long lines of kids holding their $10 program ready to get an autograph from these superstars. 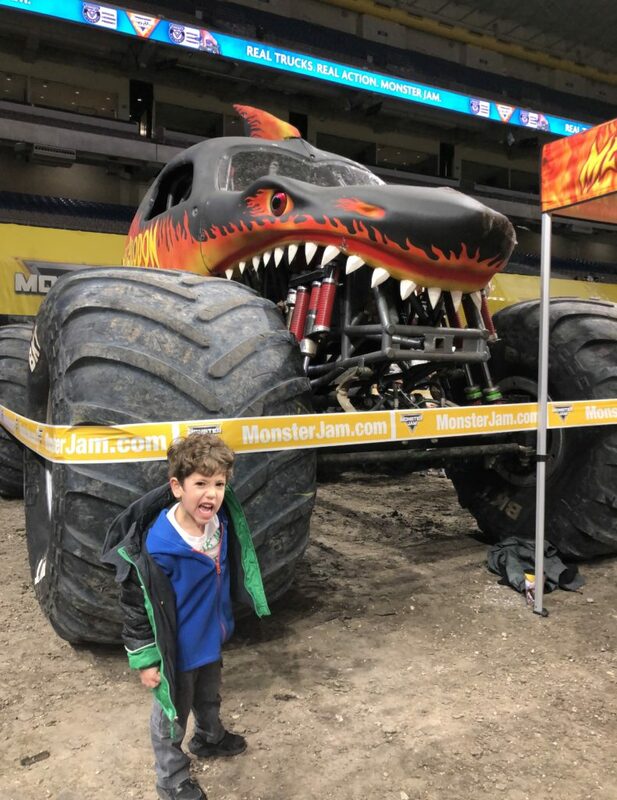 Is the world of Monster Trucks big and somehow I’ve stayed unaware of it? 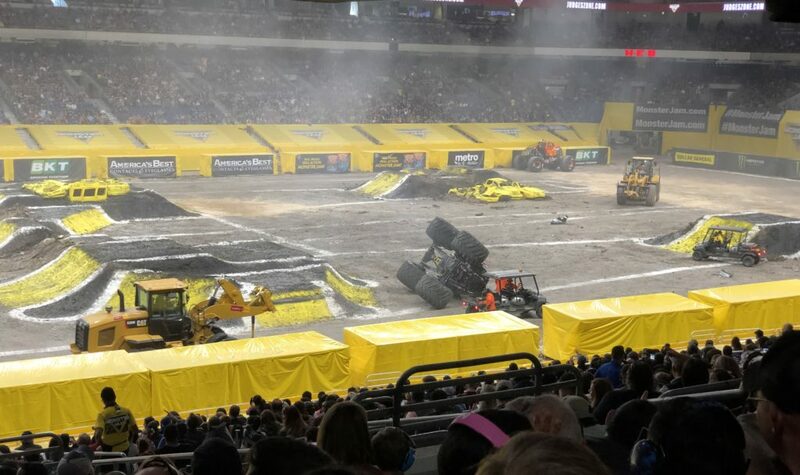 It was a great show, easily able to hold the attention of a 4 year-old kid for 2.5 hours. Just bring earplugs.